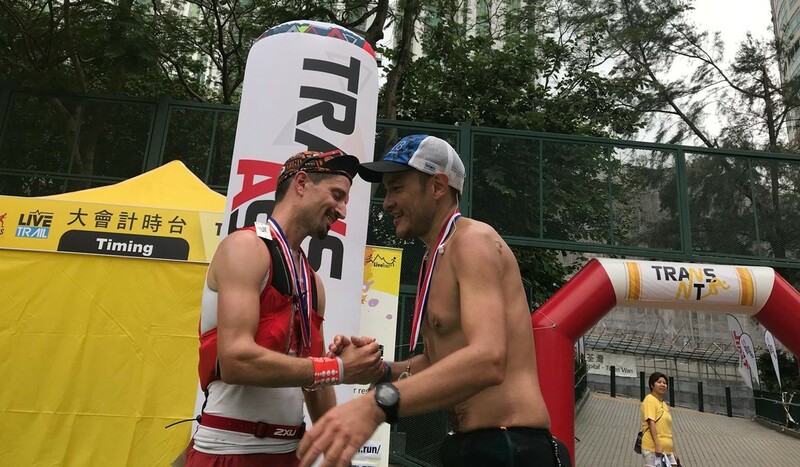 Considering what John Ellis went through in the morning, the 40-year-old retail businessman notorious for making it to as many of Hong Kong’s trail races as humanly possible is happy he was even able to complete the TransNT at all on Saturday. 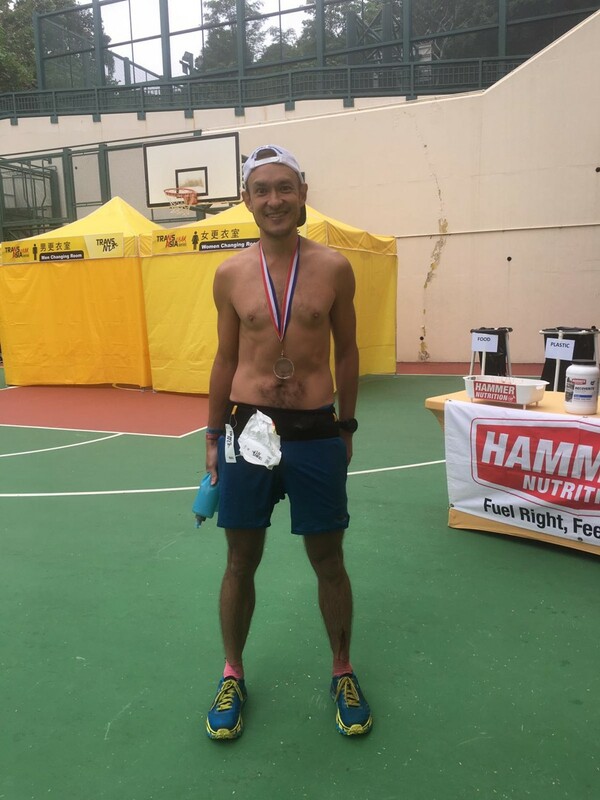 Ellis finished fourth in the 57km race – that runs from Shui Long Wo through the Tai Mo Shan Country Parks before finishing in Tsuen Wan – with a time of 5:55:46. He was just short of third-placed Salomon Wettstein’s 5:54:22, and 24 minutes behind Chinese juggernauts Deng Guomin and Yan Longfei’s joint time of 5:31:52. But Ellis had a remarkable scare before the race even started, when he feinted after urinating at the top of a hill while warming up. “I just went for a warm-up before the race and ran the first kilometre uphill, sort of had to take a pee, went off to the side, did my pee and kind of just blacked out,” said the Australian at the finish line near Tsuen Wan. Ellis said he blacked out at the same spot that he urinated. “Fortunately I kind of fell backwards so it was OK, otherwise it would have been a lot worse,” he said. He suffered several nasty scabs and on both legs, but fortunately he didn’t sustain any serious injuries. Still, the incident was alarming and Ellis had no clue why he blacked out. “There’s a few reasons why it could have happened,” he said. “I’ve been on a calorie-restricted diet lately so perhaps I didn’t have enough nutrition. Ellis is dieting to lose weight for the legendary Oxfam Trailwalker next week, where he will be running for team Joint Dynamics. “Everyone on my team is ridiculously fast, and I’m really scared that I’m going to be the slowest member on that group. That’s why I’m trying to lose weight because that’s the best way to improve your time,” he said. “We definitely plan to win it all, next week, but we know we’re going to face really tough competition from the Nepalese. They seem to win it every year. Aside from feinting, Ellis’ biggest problem this race, as it often is for the trail running enthusiast, was “going a little too hard”. “I probably should have taken it a little more easy this race to give my body enough time to recover for next week, but my competitive side kicked in and I tried to catch Samuel for third. Obviously that didn’t happen,” he said.